Hey Coffeeholics! How was your week? Lately the weather has been quite bipolar! The erratic changes of weather has been affecting my health but Thank You God I'm ok now and coping with the weather. Anyway, I've recently been enjoying wearing denim shorts. Haha. I'm not used to wearing shorts a lot but its really more practical during hot humid days. Especially when I'm commuting. 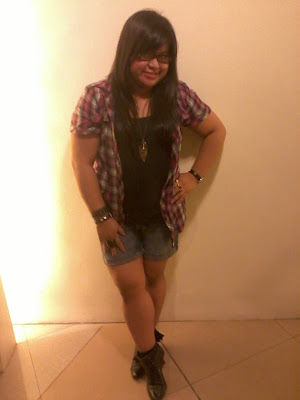 The dark pink plaid top has been with me for years a while and I'm glad finally that I was able to wear it again. Plaid is definitely one fashion statement that has been around for centuries. Think Mel Gibson in Braveheart.. yes, that infamous piece of cloth they wrap around their lower bodies (aka skirts.. hehehe). 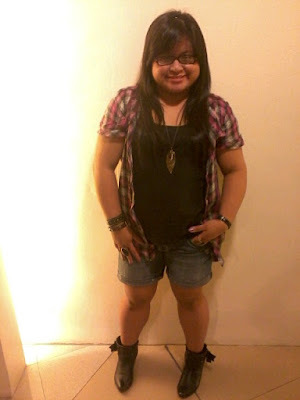 Plaid fashion was originally more categorized as part of men's fashion but has made its crossover to us gals. Lucky us! Some say that plaid is out or that its sooo over. Guess again dearies.. I just checked out some department stores and its still in abundance! Speaking of plaid reminds me of Scotland Yard.. and SHERLOCK HOLMES! Oh yeah! I finally was able to watch Sherlock Holmes 2 - A Game of Shadows with my bff Naomi. We watched it last Friday after work. She was my movie partner when Sherlock Holmes 1 came out. Super Kilig!!! Haha.. 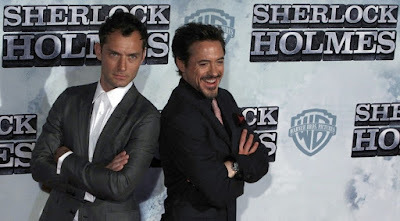 I have a huge crush on Robert Downey Jr. and Naomi has a huge crush on Jude Law. Hahaha so magkasundo kami - walang away! Oh diba.. Eye Candy! 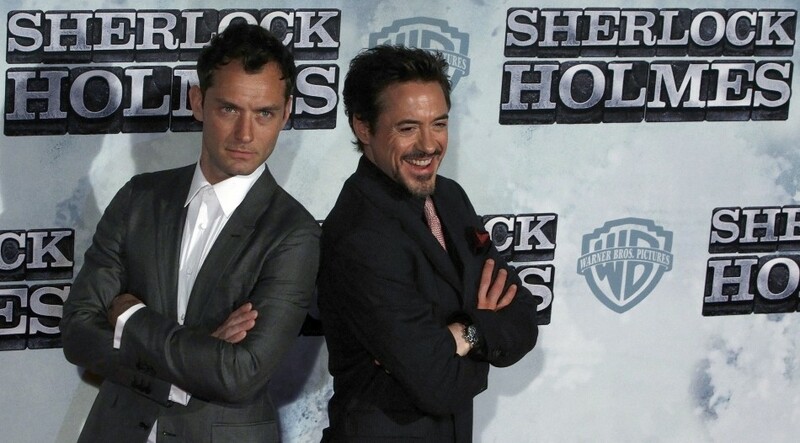 And yes, Sherlock Holmes 2 is definitely worth watching! I swear, this movie is one of the rare movies where the 2nd Movie is even sooooo much better than the first. Promise! 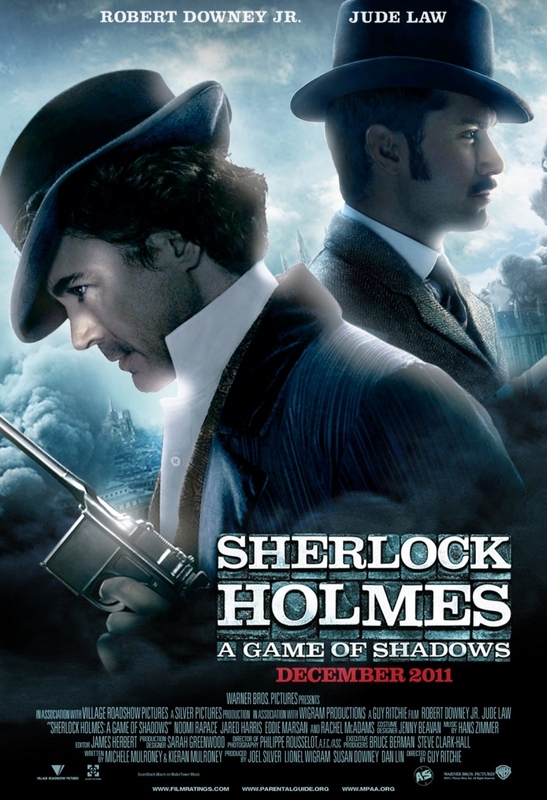 It has more action, more funny moments, and more mind boggling Sherlock Holmes' eccentricities and awesome powers of observation which I absolutely adore. I don't watch movies often (coz honestly I really can't stomach the movie prices nowadays..) but this movie was absolutely worth every cent. There were times where me and Naomi were laughing so hard and then to only find out later that we were the only ones laughing.. haha. I think maybe its coz there were only a number of people in the cinema (less than 50). In this particular scene, I find Jude Law as Watson super duper hot! This particular evening attire looks really smart and handsome on him. Particularly the scenes when he was playing cards! Three things you should watch out for in the movie are the Sherlock Holmes epic disguises, Sherlock Holmes' brother, and the wedding of Dr.Watson. Anyway I don't want to spoil the movie too much. Its so much better if you watch it instead. Naomi has already completed the whole Sherlock Holmes series in print and she explained to me that several of the scenes in the movie were taken from various books (much like Percy Jackson and The Lightning Thief!). So it might be confusing for those who have read it already. I think they did it like that so that the movie would be more interesting and more action packed then ever. Anyway, I'm really looking forward to watching part 3 of this movie (hopefully there will be a part 3). 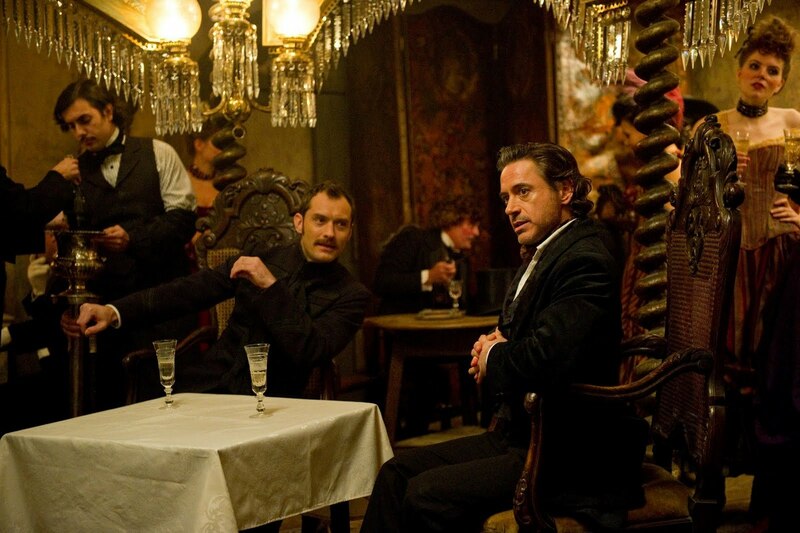 So Coffeeholics, if you haven't been able to watch Sherlock Holmes yet, I strongly suggest you do! Its one of the must watch movies for January! Let me know what you think!